ZipanguFlyer has moved to Twitter! We have moved and reopened on Twitter! Focus: Airline news from Japan, airplane spotting, travel notes, etc. Vanilla Air announces Okinawa – Taipei. On May 25th, Vanilla Air [JW/VNL] announced that it will commence Okinawa/Naha [OKA/ROAH] – Taipei/Taoyuan [TPE/RCTP] on September 14th. An additional Tokyo/Narita [NRT/RJAA] – Naha round-trip will also be added at the same time. All flights will be operated by 180-seat Airbus A320-200s. The LCC arm of ANA Holdings continues to add more destinations from Taipei, which is set to become their second hub and the first outside Japan. Tickets went on sale on May 26th. One-way fares start from 4,590 JPY for a ticket with no baggage allowance (Simple Vanilla) and 6,590 JPY for an inclusive ticket with 20 kilograms of baggage allowance plus free seat selection (Komi-komi Vanilla). Naha – Taipei/Taoyuan NEW daily with A320-200. JW189 OKA 2110 – 2145 TPE 32A/320 Mo/Tu/Th/Fr/Sa/Su *From Sep/15. JW189 OKA 2035 – 2110 TPE 32A/320 We *From Sep/14. JW180 TPE 0610 – 0845 OKA 32A/320 Daily *From Sep/15. The aircraft for the outbound service will arrive from Narita into Naha flying the newly added flight, and then hop to Taipei, to turn around for their Osaka/Kansai [KIX/RJBB] link, which was only launched on April 27th (Vanilla Air adds Kansai – Taipei, plans SE Asia in 4Q2016.). The inbound leg will be part of the Kansai – Taipei – Naha – Narita routing. 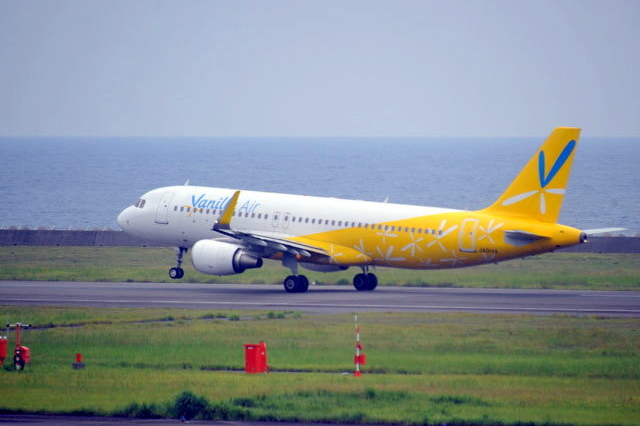 Naha becomes Vanilla Air's third destination from Taipei, and it is part of their strategy to make the Taiwanese capital a scissors hub to connect Japan and Southeast Asia (Vanilla Air eyes China, Southeast Asia, and Okinawa hub. ), which is similar to what part-sister Peach hopes to do at Naha (Peach launches Naha hub; but Naha – Ishigaki axed.). From Taipei, it currently flies to Narita four times daily, and plans are underway to add Singapore, Thailand, and Vietnam using fifth freedom rights, as well as Sapporo/New Chitose [CTS/RJCC]. Bangkok/Don Mueang [DMK/VTBD] is likely to become their first destination in Southeast Asia, and Vanilla is reportedly in talks with fellow Value Alliance (Vanilla Air joins seven LCCs to form Value Alliance.) member Nok Airlines (d.b.a. Nok Air) [DD/NOK] for a stronger partnership. Vanilla Air joins seven LCCs to form Value Alliance. On May 16th, Vanilla Air [JW/VNL], together with LCCs Cebu Air (d.b.a. Cebu Pacific) [5J/CEB] including subsidiary Cebgo [DG/SRQ], Jeju Air [7C/JJA], Nok Airlines (d.b.a. Nok Air) [DD/NOK], NokScoot Airlines [XW/NCT], Scoot [TZ/SCO], Tiger Airways Australia (d.b.a. Tigerair Australia) [TT/TGW], and Tiger Airways Singapore (d.b.a. Tigerair) [TR/TGW], announced the creation of Value Alliance. The founding members currently operate a collective fleet of 176 aircraft across the Asia Pacific region and serve over 160 destinations, carrying 47 million passengers in 2015. The partnership enables customers to book flights from any of the eight airlines' websites in a single transaction through technology developed by Air Black Box (ABB). Travelers will also be able to choose ancillary services including seat selection, meals, and check-in baggage for flights from different airlines in a single itinerary. ABB’s Air Connection Engine (ACE) platform has filed for NDC Certification with IATA and is expected to complete full certification soon. However, the cooperation will be limited to enhancing sales and ticket distribution among members, at least initially, unlike the comprehensive alliances of legacy carriers such as Oneworld, Skyteam, and Star, which go far as offering mileage transfers, joint marketing, standardizing service and quality, and coordinating schedules and sharing revenues where anti-trust immunity (ATI) has been granted. At this time, Value seems to be largely an experiment to better compete with the likes of LCC groups AirAsia and Jetstar, and to a lesser extent Lion Air, which have gained network scale by having subsidiaries in multiple nations and marketing them under a single brand and website. Value becomes only the second LCC grouping of its kind after U-FLY Alliance, which was formed in January and includes Hong Kong Express Airways (d.b.a. HK Express) [UO/HKE], Lucky Air [8L/LKE], Urumqi Air [UQ/CUH], and West Airlines (d.b.a. West Air) [PN/CHB], all HNA Group carriers. Both alliances are keen to court more members, though there are not many remaining in the region. VietJet Aviation [VJ/VJC] will likely go alone, with a strong and growing domestic home market along with a healthy aircraft orderbook. Also, the government, which controls Vietnam Airlines [VN/HVN] and indirectly owns Jetstar Pacific Airlines [BL/PIC], may not be comfortable in allowing them to forge international partnerships for now. On another note, the exclusion of Tigerair Taiwan [IT/TTW] from Value is a further hint that its majority owner China Airlines [CI/CAL] is planning to buy Tigerair's 10% shareholding to take full control, which would likely result in the LCC re-branding and moving to a different reservations system. Also, Tigerair Taiwan competes with Scoot in the Taiwan – Singapore and Taiwan – Japan markets and with NokScoot in the Taiwan – Thailand market. However, some competition within the alliance seems inevitable as Vanilla prepares to launch Southeast Asia from a new Taipei/Taoyuan [TPE/RCTP] hub by year-end (Vanilla Air adds Kansai – Taipei, plans SE Asia in 4Q2016.). New AirAsia Japan launch slips to 4Q2016 at earliest. AirAsia Japan (Mk II) [DJ] has officially admitted that they will miss its target launch in Summer 2016 (New AirAsia Japan reveals China, SE Asia, USA ambitions. ), and a new date has yet to be set. "Additional time is necessary to ensure the safety of operations," revealed a company spokesperson on May 11th to local media outlets in Nagoya, adding "At this time we are unable to confirm our launch date." This becomes the third delay for the reincarnation of AirAsia's Japanese unit (New AirAsia Japan delays service entry to July 2016.). Japan's fifth LCC in five years, AirAsia Japan (Mk II) took delivery of its second Airbus A320 on April 27th, and hiring ground-handling staff at Sapporo/New Chitose [CTS/RJCC] and Sendai [SDJ/RJSS] has been completed. However, the airline reportedly still lacks the adequate number of pilots, maintenance personnel, and operations control staff required by regulator Japan Civil Aviation Bureau (JCAB). Demand for trained aviation professionals is high due to the rapid growth of LCCs and AirAsia Japan (Mk II) may be having difficulty recruiting. It received an Air Operator's Certificate (AOC) in October last year (New AirAsia Japan receives AOC; takeoff in April 2016. ), but has yet to pass inspections in maintenance and operations preparedness. The latest delay pushes back its in-service date to October at earliest, and that is if actual flight training starts by June and JCAB checks including proving flights could be commenced by August. Training flights have yet to begin, and its two aircraft remain grounded at Nagoya/Chubu Centrair [NGO/RJGG] apart from a few sporadic flights to keep them airworthy. The later their launch, the more its competitors would become established in the market. AirAsia Japan (Mk II) had selected Chubu Centrair as there were no LCCs based at the airport serving the nation's third largest metropolitan area at that time (AirAsia Japan selects Nagoya Chubu Centrair. ), however, now Jetstar Japan [GK/JJP] (Jetstar Japan starts Nagoya and Kansai to Manila.) and Spring Airlines [9C/CQH] among other LCCs are building up their networks. Meanwhile, Chubu Centrair has decided to go ahead to build its LCC Terminal, which was planned but shelved when the first AirAsia Japan (Mk I) [JW/WAJ] suspended operations (CoachFlyer JW8541: NRT - FUK on AirAsia Japan's Airbus A320.). They will confirm its design and begin construction in FY2017, with completion slated for summer 2019. Jetstar Japan and Spring Airlines are also considering moving into the new terminal. The airport believes capacity at Tokyo/Haneda [HND/RJTT] and Tokyo/Narita [NRT/RJAA] is not large enough to absorb the increased demand during the 2020 Tokyo Olympics/Paralympics. 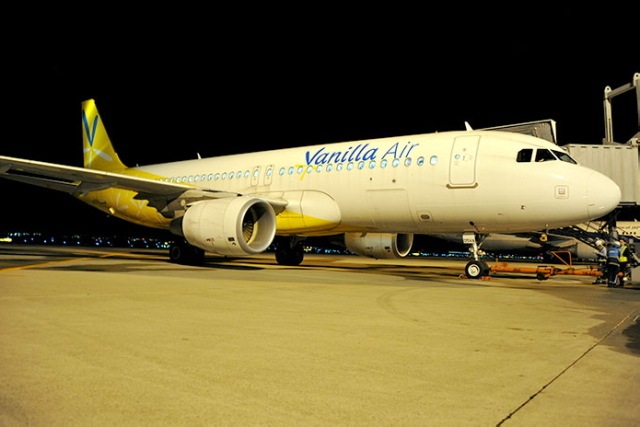 Vanilla Air adds Kansai – Taipei, plans SE Asia in 4Q2016. On April 27th, Vanilla Air [JW/VNL] inaugurated Osaka/Kansai [KIX/RJBB] – Taipei/Taoyuan [TPE/RCTP] (Vanilla Air announces Kansai – Taipei.). The new daily red-eye service is actually a spoke from Taiwan's capital, making Osaka's premier gateway the fledgling LCCs fourth destination in Japan, but the first not linking with their hub at Tokyo/Narita [NRT/RJAA]. All flights are operated by 180-seat Airbus A320-200s. The aircraft for Taipei – Kansai arrives into Taipei as the last flight of the day from Narita just past midnight, and turns around for the inbound flight to Kansai. After a brief 60-minute stay, it departs for Taipei as the outbound flight from Kansai, in time for the first flight of the day from Taipei back to Narita. One-way fares start from 6,490 JPY for a ticket with no baggage allowance (Simple Vanilla) and 9,490 JPY for an inclusive ticket with 20 kilograms of baggage allowance plus free seat selection (Komi-komi Vanilla). Kansai – Taipei/Taoyuan NEW daily with A320-200. JW178 TPE 2150 – 0135(+1) KIX 32A/320 Daily *Apr/27 - Sep/13. JW178 TPE 2235 – 0220(+1) KIX 32A/320 Daily *Sep/13 - Oct/29. JW179 KIX 0235 – 0430 TPE 32A/320 Daily *Apr/28 - Sep/14. JW179 KIX 0315 – 0510 TPE 32A/320 Daily *Sep/14 - Oct/30. Maiden inbound flight JW178 departed Taipei at 2145 CST, five minutes before published time, with a load of 114 passengers, and arrived at Kansai at 0112 JST, 23 minutes before schedule, on April 28th. Meanwhile, the first outbound flight JW179 blocked out from Kansai at 0233 JST, two minutes early, carrying 120 passengers, and arrived at Taoyuan Airport at 0440 CST, 10 minutes behind schedule. A320-214(SL) JA05VA was assigned to both flights. A second round-trip is already being considered, which would put them in direct competition against part-sister Peach Aviation [MM/APJ]. Kansai – Taipei now boasts LCCs Jetstar Asia Airways [3K/JSA], Jetstar Japan [GK/JJP] (Jetstar Japan adds Nagoya and Kansai to Taipei. ), homegrown Peach, Tigerair Taiwan [IT/TTW], and V Air [ZV/VAX], alongside legacy carriers Cathay Pacific Airways [CX/CPA], China Airlines [CI/CAL], EVA Air [BR/EVA], Japan Airlines [JL/JAL], and TransAsia Airways [GE/TNA]. Philippine Airlines [PR/PAL] is preparing to enter on June 25th as the 12th airline, making it the route with the most carriers in the world. 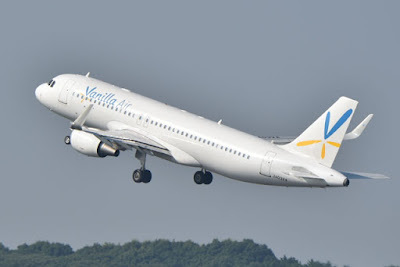 Vanilla Air has opened a reservations center in Taipei, and the new service is part of their strategy to make Taoyuan Airport its second hub, and their first outside Japan (Vanilla Air eyes China, Southeast Asia, and Okinawa hub.). From Taipei, it currently flies to Narita four times daily, and plans are underway to add Singapore, Thailand, and Vietnam using fifth freedom rights, as well as Sapporo/New Chitose [CTS/RJCC]. "We hope to launch our first city in Southeast Asia by year-end. We've already decided which city, but we can't disclose that yet," said Katsuya Goto, Vanilla's new President from April 1st. It will coincide with the delivery of their 10th A320 this autumn. "Together with Kaohsiung (Vanilla Air launches Kaohsiung but slows expansion. ), the Taiwan market generates roughly 50-60% of our revenue, and 70-80% of our customers are Taiwanese," said Chairman Tomonori Ishii, who was promoted from President effective April 1st, adding "So Taiwan-originating travelers will probably make up most of our customer base for our first flights to Southeast Asia, but as we grow our network, we believe the Japanese will come along as well." In preparation for their Taipei hub, Vanilla has started offering a fly-through product, for now only available through Narita, which guarantees connections between their flights. An interline agreement with a LCC in Southeast Asia is also being considered. The Narita-based LCC is expected to announce its first full-year profit for FY2015, which ended on March 31st. Vanilla Air is a wholly-owned subsidiary of ANA Holdings, parent of All Nippon Airways [NH/ANA]. 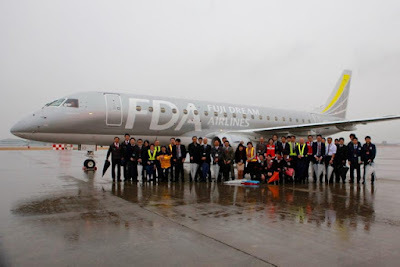 Fuji Dream Airlines announces Shizuoka – Okadama. On April 11th, Fuji Dream Airlines [JH/FDA] announced that they will launch Shizuoka [FSZ/RJNS] – Sapporo/Okadama [OKD/RJCO] on June 4th. The route will initially operate two days a week on Tuesdays and Saturdays using either 76-seat Embraer ERJ170-100s (E170s) or 84-seat ERJ170-200s (E175s). It will supplement the Shizuoka-headquartered niche carrier's existing five-times-weekly Shizuoka – Sapporo/New Chitose [CTS/RJCC] service. Although not yet announced, the new link will likely code-share with partner Japan Airlines [JL/JAL]. Fuji Dream has operated various charters from Okadama since carrying out flight testing in July 2013 to check the E170's landing and takeoff performance with the 1,500-meter runway and measure its noise footprint (Fuji Dream starts Okadama summer charter.). Hence launching scheduled flights to and from Okadama had been seen as a matter of time. It received its 10th E-Jet last month and the new service matches the arrival of their 11th in June (Fuji Dream Airlines' tenth Embraer E-Jet is Silver.). Fuji Dream's entry into Okadama with a frequency supplementing their service to New Chitose along with identical times shows how it is largely an experiment to see which of the airports passengers actually prefer, and whether there are prospects it could replicate how it successfully created a hub at Nagoya/Komaki [NKM/RJNA], the Chubu (Greater Nagoya) region's older but preferred airport located closer to downtown, which was largely replaced by Nagoya/Chubu Centrair [NGO/RJGG]. President Yohei Suzuki had said "Sapporo can support a dual airport strategy with two respective roles." Local regional airline Hokkaido Air System [HC/NTH], which was made a subsidiary of JAL once again in October 2014 (JAL raises Hokkaido Air System stake to 51%. ), is based at Okadama and is the only scheduled carrier using the airport. Although much smaller than its bigger sister New Chitose, which is located 40 kilometers away from the Hokkaido capital, Okadama is compact and is only six kilometers from downtown Sapporo. Its proximity has been less felt as travel to New Chitose from center city has efficiently been reduced to a 40-minute train ride, while reaching Okadama requires transferring from subway to bus resulting in a 25-minute travel time from Sapporo Station. As major airports become crowded, Fuji Dream is striving to be a niche carrier flying into smaller but more convenient secondary airports of major cities, taking advantage of smaller E-Jets. Launching a hub at Chubu Centrair is still being evaluated, as parking space at Komaki becomes scarce (Fuji Dream mulls Chubu – Narita and international charters. ), but that may be risky as the larger airport serving the Chubu region is well-served by All Nippon Airways [NH/ANA] and a growing number of LCCs, including AirAsia Japan (Mk II) [DJ], which is launching with a hub there this summer (New AirAsia Japan delays service entry to July 2016.). Proposed Komaki – Okadama could bear fruit if Shizuoka – Okadama proves successful and an agreement could be reached with partner JAL, which already operates Chubu Centrair – New Chitose. Jetstar Japan starts Nagoya and Kansai to Manila. 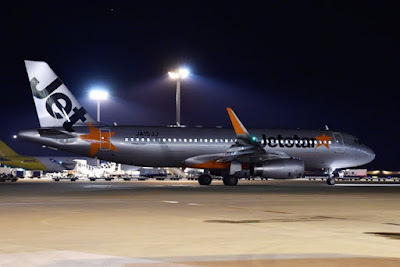 Jetstar Japan [GK/JJP] commenced Nagoya/Chubu Centrair [NGO/RJGG] – Manila/Ninoy Aquino [MNL/RPLL] on April 1st, followed by Osaka/Kansai [KIX/RJBB] – Manila on April 7th (Jetstar Japan reveals Manila, downsizes Kumamoto.). Japan's now largest LCC had only added the Filipino capital on March 15th with service from Tokyo/Narita [NRT/RJAA] (Jetstar Japan launches Narita – Manila.). All flights are operated by 180-seat Airbus A320-200s. Chubu Centrair – Manila started with four weekly flights, which increases to seven weekly during peak travel periods. Kansai – Manila launched with up to four times weekly, however, sister Jetstar Asia Airways [3K/JSA] already operates three times weekly on the Kansai – Manila route, and together the Jetstar Group will offer up to seven-times-weekly service. Along with Jetstar Airways [JQ/JST], the three carriers had received antitrust immunity from Japanese authorities to coordinate schedules and prices on routes between Japan and Taiwan and the Philippines last October. The inaugural flight from Chubu Centrair on April 1st departed at 2047 JST, 17 minutes behind schedule, with a load of 179 passengers, including five children. A320-232(SL) JA11JJ was assigned. Meanwhile, the first revenue flight from Kansai on April 7th departed at 2048 JST, 18 minutes behind schedule, carrying 169 passengers. It was operated by A320-232 JA04JJ. Chubu Centrair – Manila/Ninoy Aquino NEW up to daily with A320-200. GK095 NGO 2030 – 2335 MNL 32A/320 Fr/Sa/Su *Apr/1-3. GK095 NGO 2030 – 2335 MNL 32A/320 Mo/Fr/Sa/Su *Apr/4-28, May/9-31. GK095 NGO 2030 – 2335 MNL 32A/320 Daily *Apr/29-May/8, Jun/1-30. GK094 MNL 0105 – 0555 NGO 32A/320 Mo/Sa/Su *Apr/2-4. GK094 MNL 0105 – 0555 NGO 32A/320 Mo/Fr/Sa/Su *Apr/5-29, May/10-Jun/1. GK094 MNL 0105 – 0555 NGO 32A/320 Daily *Apr/30-May/9, Jun/2-Jul/1. Kansai – Manila/Ninoy Aquino NEW up to 4 weekly with A320-200. GK081 KIX 2030 – 2335 MNL 32A/320 Tu/We/Th/Fr *Apr/7-28, Jun/1-30. GK081 KIX 2030 – 2335 MNL 32A/320 Tu/Th *Apr/29-May/31. GK080 MNL 0035 – 0530 KIX 32A/320 We/Th/Fr/Sa *Apr/8-29, Jun/2-Jul/1. GK080 MNL 0035 – 0530 KIX 32A/320 We/Fr *Apr/30-Jun/1. "Manila is an important city as we expand internationally," said Chairman Masaru Kataoka at Chubu Centrair on the inaugural day, adding "The Chubu (Greater Nagoya) region's Filipino population is big, and there is significant demand for VFR (Visiting Friends and Relatives) travel, something we LCCs are good at catering to and expanding." Mr. Kataoka also said "It may not be common to see airlines launching a destination with three routes at the same time, but that would enable us to leverage synergies and we have a single strategy for the three routes altogether." Manila becomes Jetstar Japan's second overseas destination from Chubu Centrair after Taipei/Taoyuan [TPE/RCTP] (Jetstar Japan adds Nagoya and Kansai to Taipei. ), and the third from Kansai after Hong Kong [HKG/VHHH] (Jetstar Japan goes international with Kansai – Hong Kong.) and Taipei. Chubu Centrair – Manila sees Cebu Air [5J/CEB] (d.b.a. Cebu Pacific Air) flying four times weekly and Philippine Airlines [PR/PAL] daily, while Kansai – Manila has Cebu Pacific operating five times weekly, Jetstar Asia three times weekly, and Philippine Airlines daily. Zest Airways [Z2/EZD] (d.b.a. Philippines AirAsia) is preparing to enter the Philippines – Japan market during the second half of this year. Skymark exits bankruptcy with eye on international. On March 28th, Skymark Airlines [BC/SKY] announced that it had completed its corporation revitalization process and received approval to emerge from bankruptcy. At the same time, it also revealed its mid-term plan for FY2016-2018, which includes opening up international routes and targeting 80 billion JPY in total revenues to produce an operating profit of 7 billion JPY by FY2018. Japan's third largest carrier filed for bankruptcy protection on January 29th, 2015 with the Tokyo District Court (Skymark to file for bankruptcy.). Once post-deregulation's most successful start-up to challenge the ANA/JAL duopoly, Skymark was re-launched on September 29th under new ownership (Skymark relaunched with ANA sponsorship.). Integral Corporation holds the majority 50.1%, ANA Holdings has a grip on 16.5%, and UDS Airlines Investment has 33.4%. UDS is a new investment firm jointly owned by Development Bank of Japan (DBJ) and Sumitomo Mitsui Banking, both loyal partners of ANA. ANA Holdings is the parent of Japan's now largest carrier All Nippon Airways [NH/ANA]. Skymark's creditors initially demanded 308.9 billion JPY in total liabilities (Skymark's total debts skyrocket to 300 billion JPY. ), however, that was reduced to 154.3 billion JPY after negotiations. Under court protection, the final repayment figure was settled at 16.1 billion JPY. Major creditors included Intrepid Aviation, Airbus, Rolls-Royce, and CIT Aerospace. The U.S.-based aircraft lessor initially sought for 900 million USD for scrapping Airbus 330 leases (Skymark terminates all Airbus A330 leases.) and fought against ANA to sponsor Skymark with Delta Air Lines [DL/DAL] (Intrepid picks Delta to sponsor Skymark.). The European planemaker at first called for 700 million USD for the A380 cancellation (Skymark hopes to settle Airbus A380 penalty in October. ), but drastically reduced the amount after ANA agreed to take those A380s (Bye-bye Skymark, Hello ANA Airbus A380?). Skymark's financial performance is quickly improving, partly helped by lower fuel costs. FY2015 is expected to finish with revenues amounting to 70 billion JPY, producing an operating profit of 1.5 billion JPY. It reverses the airline's results for FY2014, which saw revenues totaling 80.9 billion JPY but translating to a 17.6 billion JPY operating loss. It now targets FY2018 with total revenues at 80 billion JPY with an operating profit of 7 billion JPY, calculating with crude oil at 50 USD per barrel. "We have 26 737s in our fleet, but only use 20 of them at once. Bringing utilization up to 24 aircraft will help increase revenue," said President Masahiko Ichie, adding "Our CASK (cost per available seat kilometer) is 8.5-8.6 JPY, and we're aiming for 8 JPY." During the time frame, a new future aircraft type will also be evaluated. The revitalized airline also announced plans to go international by FY2018 starting with charter flights. "We need to use FY2016 to further strengthen our balance sheet. We'll carry out feasibility studies in FY2017, and hope to operate the first charters in FY2018," said Mr. Ichie, adding "East Asia and Southeast Asia, as well as Guam and Saipan are likely candidates." Skymark's President also said they are evaluating re-entering markets it withdrew from during its bankruptcy, mentioning Ishigaki [ISG/ROIG], Kumamoto [KMJ/RJFT], Miyako [MMY/ROMY] (Skymark to cut 15% of flights, ground all Airbus A330s. ), Sendai [SDJ/RJSS] (Skymark to pull out of Sendai in October. ), and Yonago [YGJ/RJOH] (Skymark decides to close Yonago, keep Ibaraki.). "We don't want to axe a new route after only one year," said Mr. Ichie, explaining new destinations would be carefully considered. Meanwhile, Chairman Nobuo Sayama reiterated that code-sharing with ANA has been indefinitely postponed, as Skymark continues to refuse to adopt ANA's Able-D reservation system. Mr. Sayama believes retaining its own reservations system is key to keeping Skymark independent, and taking up Able-D would essentially relegate Skymark to a de facto puppet of ANA, joining the likes of AIRDO [HD/ADO] (d.b.a. Air Do), Solaseed Air [6J/SNJ], and Star Flyer [7G/SFJ]. "Our performance is improving, so there is no urgent need for code-sharing," said Mr. Sayama, adding "Our arms are open. We have proposed to code-share by placing an interface between ANA's and ours. We don't necessarily need to adopt their system. It's up to ANA." Mr. Sayama, who also serves as the President of Skymark's largest shareholder Integral, is seemingly determined to limit ANA influence to only maintenance and operational issues, and not with business decisions. The conflict will continue between Integral and ANA as the former's interest lies in keeping Skymark operationally independent until its planned re-listing in 2020 or before, while the latter wants to keep Skymark under its influence for as long as possible to shut out true competition at bread-and-butter Tokyo/Haneda [HND/RJTT]. However, even if code-share talks do not bear fruit, for ANA its investment may have already been worth it, as otherwise a Delta-backed Skymark would have posed a much stronger threat to ANA. Fuji Dream Airlines' tenth Embraer E-Jet is Silver. On March 5th, Fuji Dream Airlines [JH/FDA] took delivery of Embraer ERJ170-200/STD (E175) JA10FJ, their 10th aircraft. Painted and named Silver, it features the Brazilian manufacturer's Fuel Burn Improvement Package 2, as on their ninth airframe Gold (Fuji Dream's ninth Embraer E-Jet is Gold.). It boasts new wingtips and several other minor aerodynamic changes such as wheel caps and auxiliary power unit (APU) air inlet improvements, resulting in a 5.5% reduction in fuel burn. Other changes include new LED navigation lights. The 84-seat aircraft departed São José dos Campos [SJK/SBSJ] on the same day and touched down at the airline's Nagoya/Komaki [NKM/RJNA] hub four days later on March 9th at 1552 JST, flying a similar route as their eighth (Fuji Dream Airlines receives eighth E-Jet 'Tea Green'.) and ninth airframes. On the way, it made stops at Natal [NAT/SBNT], Sal [SID/GVAC], Almeria [LEI/LEAM], Larnaca [LCA/LCLK], Dubai/Al Maktoum [DWC/OMDW], Kolkata/Netaji Subhas Chandra Bose [CCU/VECC], Can Tho [VCA/VVCT], and Kaohsiung [KHH/RCKH]. Total flight time was 32 hours and 40 minutes, traveling over 21,700 kilomters (13,500 miles). The inaugural revenue flight for Silver took place on March 11th as JH355 from Komaki to Hanamaki [HNA/RJSI]. It flew the return leg to Komaki as JH356 and was then assigned to Kitakyushu [KKJ/RJFR] and back on flights JH407/408. While their ninth airframe was used to open up new markets to Izumo [IZO/RJOC] and Kitakyushu in March 2015 (Fuji Dream launches Izumo and Kitakyushu. ), their 10th will be used to increase frequency in existing markets, with up to 34 daily round-trips scheduled, an increase from 29 for Summer 2015. It will also be utilized to increase its growing charter business, which accounted for 1,050 of Fuji Dream's flights in FY2015. Komaki – Aomori increase from 2 to 3 daily. Komaki – Hanamaki increase from 3 to 4 daily. Komaki – Kochi increase from 1 to 2 daily. Komaki – Yamagata increase from 1 to 2 daily. Meanwhile, the Shizuoka-based regional carrier will be receiving its 11th E-Jet in June. Details regarding what roles it would play have not been officially released, however, President Yohei Suzuki has spoken of launching a base Nagoya/Chubu Centrair [NGO/RJGG], the newer and premier international airport serving the Chubu (Greater Nagoya) region, to launch midnight international charters to China, South Korea, and Taiwan, as well as start Chubu Centrair – Tokyo/Narita [NRT/RJAA] (Fuji Dream mulls Chubu – Narita and international charters.). The latter service would code-share with and feed overseas carriers flying into Narita, and Mr. Suzuki had admitted that discussions with multiple airlines are already taking place. Jetstar Japan launches Narita – Manila. On March 15th, Jetstar Japan [GK/JJP] added Manila/Ninoy Aquino [MNL/RPLL] with initial service from its Tokyo/Narita [NRT/RJAA] hub (Jetstar Japan reveals Manila, downsizes Kumamoto. ), making the Filipino capital their third international destination after Hong Kong [HKG/VHHH] (Jetstar Japan goes international with Kansai – Hong Kong.) and Taipei/Taoyuan [TPE/RCTP] (Jetstar Japan launches Taipei, next up Manila.). All flights are operated by 180-seat Airbus A320-200s. They became the first Japanese budget carrier to serve the Philippines. The inaugural outbound flight GK041 was operated by A320-232(SL) JA15JJ, which departed Narita at 2039 JST, 34 minutes behind schedule. It arrived at Manila past midnight at 0012 PHT, just seven minutes behind published time. The three-times-weekly service will be up-gauged to up to daily from April 29th. "Filipinos account for the third largest expatriate population in Japan. There's a huge opportunity there," said CEO Gerry Turner, revealing booking rates for March are exceeding 90%. Narita – Manila/Ninoy Aquino NEW up to daily with A320-200. GK041 NRT 2005 – 0005(+1) MNL 32A/320 Tu/Th/Sa *Mar/15-19. GK041 NRT 2005 – 0005(+1) MNL 32A/320 Mo/Tu/We/Th/Sa *Mar/20-26. GK041 NRT 2010 – 0010(+1) MNL 32A/320 Fr *Mar/20-26. GK041 NRT 2030 – 0005(+1) MNL 32A/320 Tu/Th/Fr/Sa/Su *Mar/27-Apr/3. GK041 NRT 2030 – 0005(+1) MNL 32A/320 Tu/We/Th/Fr/Sa/Su *Apr/4-28. GK041 NRT 2030 – 0005(+1) MNL 32A/320 Daily *Apr/29-May/8, Jun/1-30. GK041 NRT 2030 – 0005(+1) MNL 32A/320 Tu/Th/Fr/Sa/Su *May/9-31. GK040 MNL 0105 – 0615 NRT 32A/320 We/Fr/Su *Mar/16-20. GK040 MNL 0105 – 0615 NRT 32A/320 Tu/We/Th/Fr/Sa/Su *Mar/21-27. GK040 MNL 0105 – 0635 NRT 32A/320 Mo *Mar/28. GK040 MNL 0105 – 0635 NRT 32A/320 We/Fr *Mar/29-Apr/4. GK040 MNL 0105 – 0635 NRT 32A/320 We/Th *Apr/5-29. GK040 MNL 0105 – 0635 NRT 32A/320 We *May/10-Jun/10. GK040 MNL 0035 – 0605 NRT 32A/320 Mo/Sa/Su *Mar/29-Apr/4. GK040 MNL 0035 – 0605 NRT 32A/320 Mo/Tu/Sa/Su *Apr/5-29. GK040 MNL 0035 – 0605 NRT 32A/320 Daily *Apr/30-May/9. GK040 MNL 0035 – 0605 NRT 32A/320 Mo/Tu/Sa/Su *May/10-Jun/1. GK040 MNL 0035 – 0605 NRT 32A/320 Daily *Jun/2-Jul/1. All flights are timed to leave Japan in the evening, arriving in the Philippines past midnight, and make a red-eye departure for an early-morning return back to Japan. This helps to increase aircraft utilization, as Narita has a curfew between 2300 and 0600 JST and most other domestic airports are also closed during midnight hours. Narita – Manila is currently served by All Nippon Airways [NH/ANA] daily, Cebu Air [5J/CEB] (d.b.a. Cebu Pacific Air) daily, Japan Airlines [JL/JAL] twice daily, Delta Air Lines [DL/DAL] daily, and Philippine Airlines [PR/PAL] twice daily. Jetstar Japan will also link Manila with Nagoya/Chubu Centrair [NGO/RJGG] starting on April 1st and Osaka/Kansai [KIX/RJBB] on April 7th. Last October, Jetstar Airways [JQ/JST], Jetstar Asia Airways [3K/JSA], and Jetstar Japan had received antitrust immunity to coordinate flight times and prices on international routes to and from Japan to Taiwan and the Philippines. The Singapore/Changi [SIN/WSSS]-based sister's existing Kansai – Taipei and Kansai – Manila services are included in the scheme. According to Qantas Airways' [QF/QFA] earnings report released on February 23rd, Jetstar Japan's EBIT for the second half of 2015 was in the black, making it the first time the Narita-based LCC recorded a profit since starting operations in July 2012. Their system-wide load factor for the same period also increased to 84% compared to 75% one year ago. Mr. Turner attributes the turnaround to its second hub at curfew-free Kansai (Jetstar Japan launches Kansai hub. ), new international flights, and lower fuel costs. For FY2014 ending in June 2015, it had posted a 7.9 billion JPY loss and its two major shareholders Japan Airlines [JL/JAL] and Qantas together injected 7 billion JPY in November 2014 and another 4 billion JPY in June 2015. Vanilla Air announces Kansai – Taipei. On March 14th, Vanilla Air [JW/VNL] revealed that it will launch Osaka/Kansai [KIX/RJBB] – Taipei/Taoyuan [TPE/RCTP] on April 27th, making it just in time for Japan's Golden Week peak travel period (Vanilla Air to add Kansai – Taipei in Summer 2016.). The new service will be operated daily using 180-seat Airbus A320-200s. Kansai becomes the fledgling LCCs fourth destination in Japan, but the first not linking with Tokyo/Narita [NRT/RJAA], where it is based and all flights currently depart from. The aircraft for Taipei – Kansai arrives into Taiwan's largest city as the last flight of the day from Narita just past midnight, and turns around for the red-eye inbound flight to Kansai. After a brief 60-minute stay, it departs for Taipei as the outbound flight from Kansai, in time for the first flight of the day from Taipei back to Narita. Tickets went on sale on March 15th at 1400 JST with one-way fares starting from 6,490 JPY. This schedule is similar to how part-sister Peach Aviation [MM/APJ] flies into Tokyo/Haneda [HND/RJTT] from Seoul/Incheon [ICN/RKSI] (Peach Aviation starts Haneda – Seoul.) and Taipei (Peach Aviation inaugurates Haneda – Taipei.). However, it is ironic that Peach does it to access Haneda, where only midnight international slots are available, while Vanilla will do it to get around the curfew it endures at Narita and increase aircraft utilization. Vanilla is expected to report its first full-year profit of an estimated 1.5 billion JPY for FY2015 ending on March 31st. In January, parent ANA Holdings had publicly announced that it would have its wholly-owned LCC arm build hubs at Okinawa/Naha [OKA/ROAH] and Taipei (Vanilla Air eyes China, Southeast Asia, and Okinawa hub.). Vanilla has already opened a reservations center in Taipei, and hopes to add flights to Philippines, Singapore, Thailand, and Vietnam by 2020 using fifth freedom rights, effectively making the Taiwanese capital a transfer hub with strong local demand as well. Japan – Taiwan is a booming market with a plethora of LCCs alongside full-service airlines operating, but also now highly-competitive, with Kansai – Taipei soon to become the route with the most carriers in the world with a dozen airlines. Current LCCs include Jetstar Asia Airways [3K/JSA], Jetstar Japan [GK/JJP] (Jetstar Japan adds Nagoya and Kansai to Taipei. ), homegrown Peach, Tigerair Taiwan [IT/TTW], and V Air [ZV/VAX], while legacy carriers include Cathay Pacific Airways [CX/CPA], China Airlines [CI/CAL], EVA Air [BR/EVA], Japan Airlines [JL/JAL], and TransAsia Airways [GE/TNA], with Philippine Airlines [PR/PAL] posed to enter from June 25th. Skymark loads Haneda red-eye to Okinawa and Sapporo. On February 19th, Skymark Airlines [BC/SKY] announced that it will operate midnight flights from its Tokyo/Haneda [HND/RJTT] hub to Okinawa/Naha [OKA/ROAH] and Sapporo/New Chitose [CTS/RJCC] between July 1st and October 2nd. The former will operate daily while the latter will fly every day except for Monday. This is the first time a scheduled midnight domestic passenger flight has been loaded from New Chitose since its opening in 1988. All flights will be operated by 177-seat Boeing 737-800s. The Haneda – New Chitose red-eye round-trip departs Tokyo in the evening, arriving at the Hokkaido capital later in the evening, while the return leg departs New Chitose just past midnight, arriving into Haneda in the early hours. Meanwhile, for the Haneda – Naha red-eye service, both ways will be timed in the early hours of the day and arrive near sunrise at the respective destinations. Fares start from as low as 6,000 JPY, excluding airport service charge. Haneda – Naha NEW six weekly RED-EYE flight with 737-800. BC527 HND 0235 – 0520 OKA 73H/738 Tu/We/Th/Fr/Sa/Su *Jul/1 - Oct/2. BC528 OKA 0305 – 0525 HND 73H/738 Tu/We/Th/Fr/Sa/Su *Jul/1 - Oct/2. **Skymark will operate up to seven round-trips total per day. Haneda – New Chitose NEW daily RED-EYE flight with 737-800. BC731 HND 2130 – 2305 CTS 73H/738 Daily *Jul/1 - Oct/1. BC732 CTS 0010 – 0200 HND 73H/738 Daily *Jul/2 - Oct/2. **Skymark will operate nine round-trips total per day. Last October, local governments and residents near New Chitose agreed to allow up to 30 slot-pairs to arrive and depart between 2200 and 0700 JST in an effort to lure and offer flexibility to cost-conscious airlines. Previously, only six were made available. Until now, the slots have mostly been used by freight carriers or All Nippon Airways' [NH/ANA] passenger aircraft carrying only belly cargo. Koninklijke Luchtvaart Maatschappij [KL/KLM] (d.b.a. KLM Royal Dutch Airlines) was the first to operate scheduled passenger services using the slots, inaugurating Nagoya/Komaki [NKM/RJNA] – New Chitose – Amsterdam/Schiphol [AMS/EHAM] in October 1997. It was suspended in February 2002. Once post-deregulation's most successful start-up to challenge the ANA/JAL duopoly, the bankrupt airline (Skymark to file for bankruptcy.) is now owned by Integral Corporation, which holds 50.1%, ANA Holdings, with 16.5%, and UDS Airlines Investment, having 33.4% (Skymark relaunched with ANA sponsorship.). UDS is a new investment firm jointly owned by Development Bank of Japan (DBJ) and Sumitomo Mitsui Banking, both loyal partners of ANA. Code-sharing with ANA, which was planned for Winter 2016/2017, has now been indefinitely postponed, as Skymark continues to refuse to adopt ANA's Able-D reservation system. "ANA told us they would not provide overhaul needed to make two grounded 737s airworthy unless we adopt their system," revealed Nobuo Sayama, Chairman of Skymark and biggest shareholder Integral's President, in an interview, adding "Adopting Able-D would virtually place Skymark under the umbrella of ANA; we would lose our freedom of operation and will not be able to maintain independence. We raised our hands to invest in Skymark because we thought Japan would not have any airline that is run independently." Mr. Sayama has already outsourced overhaul on one of the 737s, and is proposing to place an interface between its system and ANA's to enable code-sharing, which has so far been declined by ANA. Taking up Able-D would essentially relegate Skymark to a de facto puppet of ANA, joining the likes of AIRDO [HD/ADO] (d.b.a. Air Do), Solaseed Air [6J/SNJ], and Star Flyer [7G/SFJ]. The conflict will continue between Integral and ANA as the former's interest lies in keeping Skymark operationally independent until its planned re-listing in 2020, while the latter wants to keep Skymark under its influence for as long as possible to shut out true competition at bread-and-butter Haneda. With Skymark expected to post a full-year profit for FY2015, ending on March 31st, as performance quickly improves and fuel prices continue to be low, code-sharing with ANA would become less of a priority for Skymark and it would only become more difficult for ANA to tame Skymark.